Anyone else, desperate for the end of winter? Every year I forget about the March/April horror of feeling ready for Spring and Summer and having the beginning of British summer start with snow. This outfit is one of those which I hope is the last of the winter wear. It’s a prime example of my favourite types of clothing for winter, dark colours, faux fur, texture and dimension. It also have a little blog-missing reality of the fact that often you wear socks that show up over your shoes. This blazer by the way is from Monsoon, I bought it in the January sales and it is one of the greater fitting pieces of clothing that I have had in a long time! I love the fact that it isn’t a solid black. I rarely feel drawn to the basics of the world and so finding a great, structured blazer that is interesting to look at is the ultimate dream! 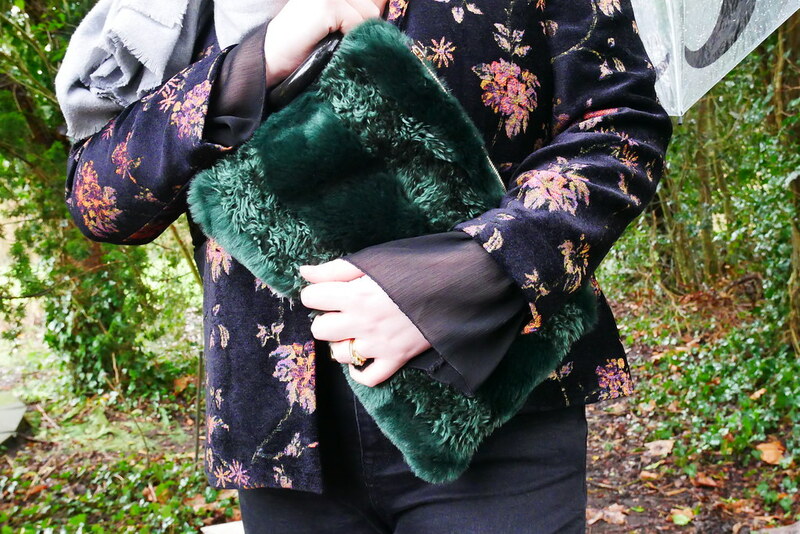 What I have loved wearing with this blazer however, is my marl black sweater with it’s black chiffon sleeves (from 2016!) and the two together make my heart sing. There is nothing which I feel better in than outfits which are multidimensional. I am not, certainly a minimalist dresser, I like building layers and character in, so whereas that blazer may be enough for some, for me, I needed some more colour and more texture. Honestly, I think it is the best way to get through the darker, winter months. In fact, I was a little shocked by my wardrobe when I culled all the stuff in it which I wasn’t wearing. It turns out, I have a lot of dark colours, and only a few brights which are worn 60 x more than any of the dark pieces. I feel like for this year, this outfit is the epitome of my style. A lot of dark, with lots of textures and a pop of colour! 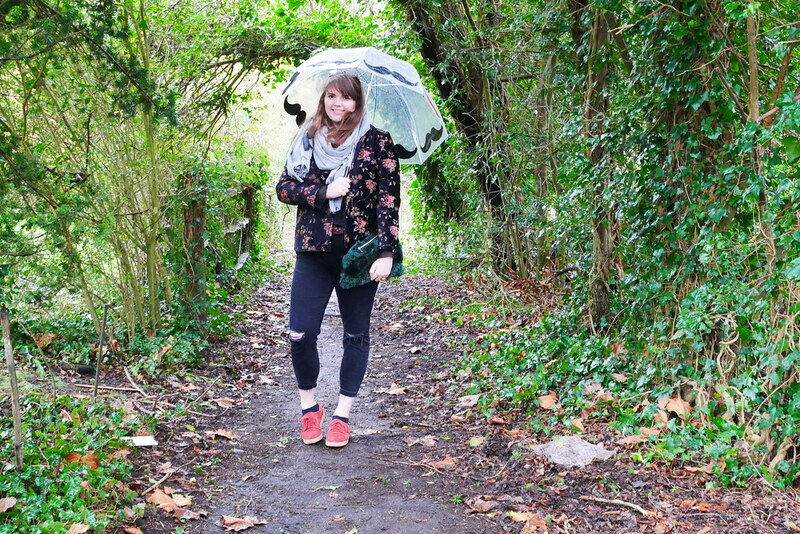 It feels years apart from my capsule wardrobe days where everything I wore was so colourful! That being said, guys I really want to share more of myself and my style this spring and summer! Sometimes I don’t miss the blogging and then sometimes I get a comment like, “oh my goodness, I love your….” and I think I have to start sharing my outfits again, I love this! It is a really strange see saw of emotions. 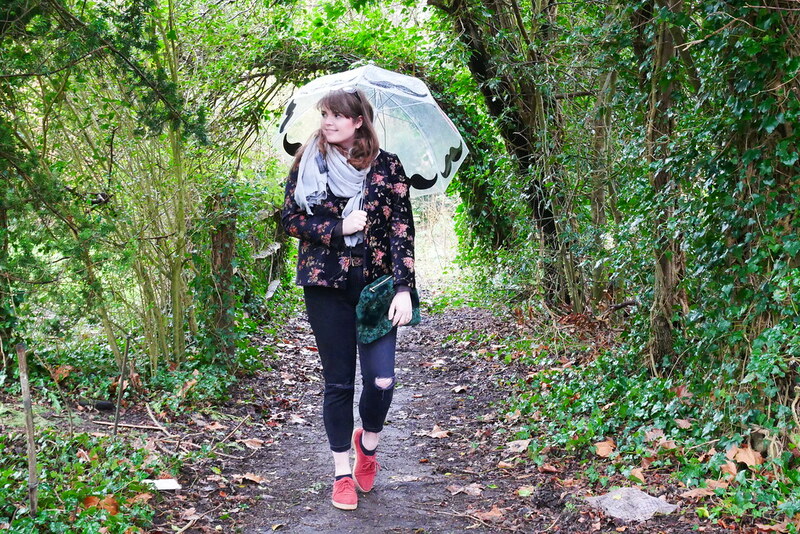 The funny thing is before taking the blogging break forever ago I felt inspirationless and now that I don’t blog so much I find great outfits but forget to photograph them, post them or even remember to mention them, here’s hoping I may find the balance during the warmer seasons! Fingers crossed!